ID Remarks: Determination on specimen packet is "Rhacoarpus Hunboldtii" and "No. 1639 Hedwigia Humboldti (Hook.)". 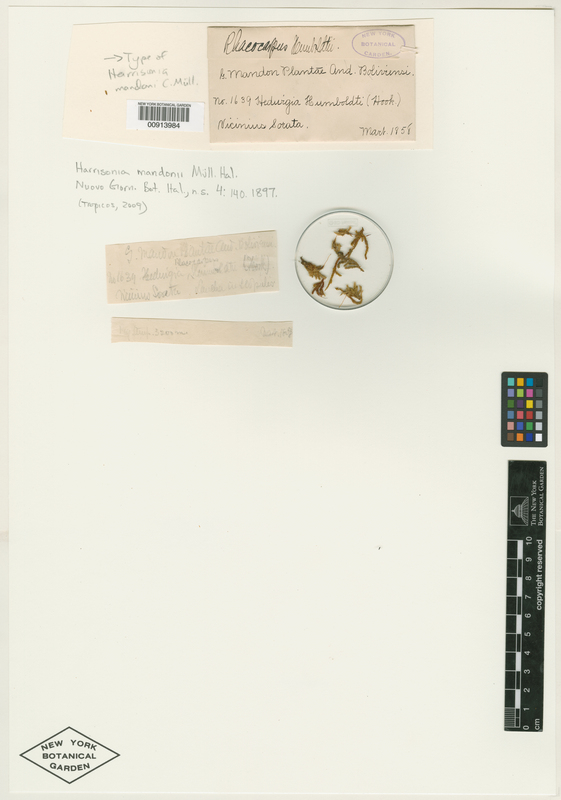 On herbarium sheet, in W. R. Buck's handwriting is "Type of Harrisonia mandoni C. Müll." Location Remarks: Only locality data is title and "vicinius Sorata". Notes: G. Mandon is not explicitly specified as collector - "G. Mandon Plantae And. Boliviensi."